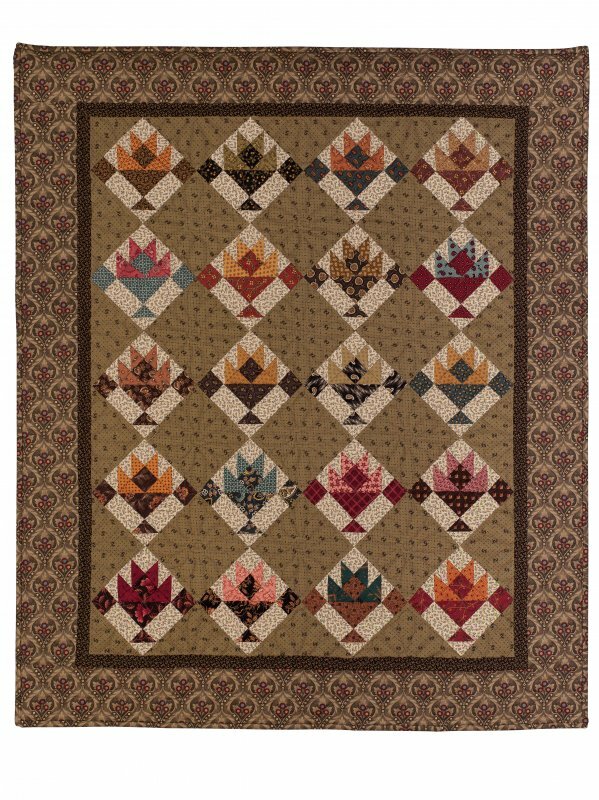 ©2013 30" x 36" One of the first quilt patterns I designed was Baskets for Betsy, named for my youngest sister. This second basket quilt pattern, Elizabeth's Baskets, uses part of her "grown-up" name, Elizabeth Anne (Anne being our mother’s name reflected in my Anne's Album and Little Annie patterns). A more appropriate name would have been Elizabeth’s Plastic Storage Bins, had they been available during the Civil War! Elizabeth’s Baskets features an unusual 4" basket block. Choose one background fabric, a pile of squares in assorted colors, and you’re ready to sew.